Ecommerce sites can easily turn their category pages and home page into high-traffic landing pages like on AliExpress giant by adding unique, useful category content block. 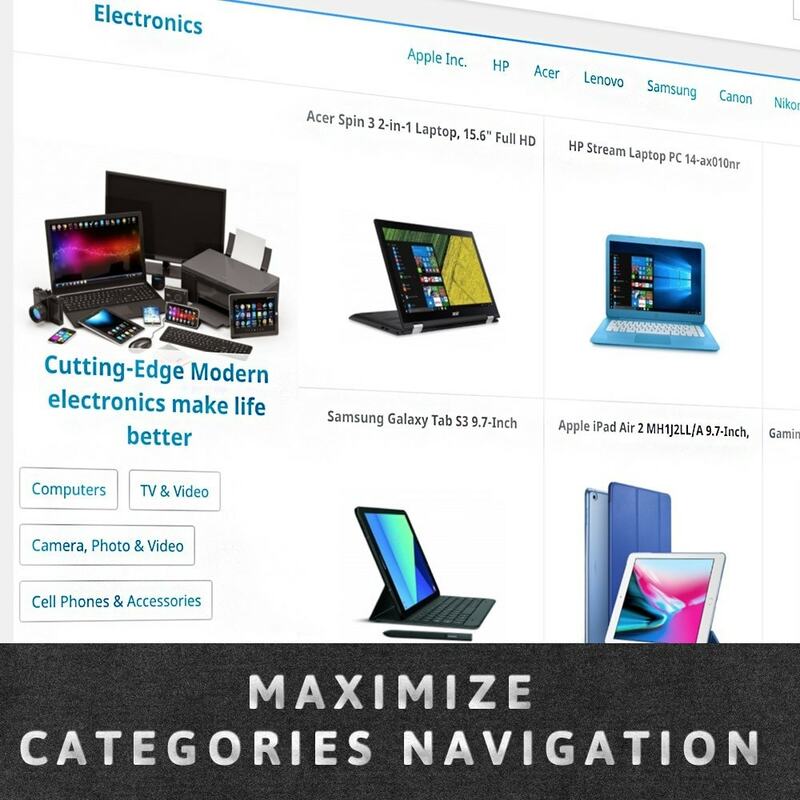 MAX Category Navigation & Featured Block at the top of the page can help usher visitors through the conversion funnel, offer an opportunity to introduce your brands and subcategories. 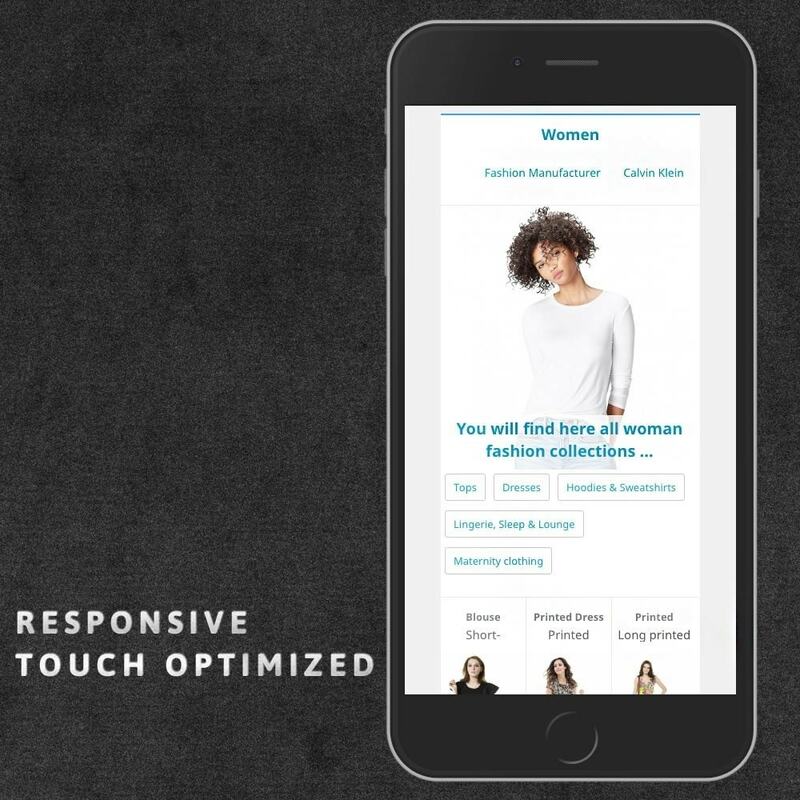 Increase E-commerce crosslinking SEO rate by adding brands links. Category pages aren't just helpful to your customers. They're also great opportunities to improve and build up your online store's SEO. 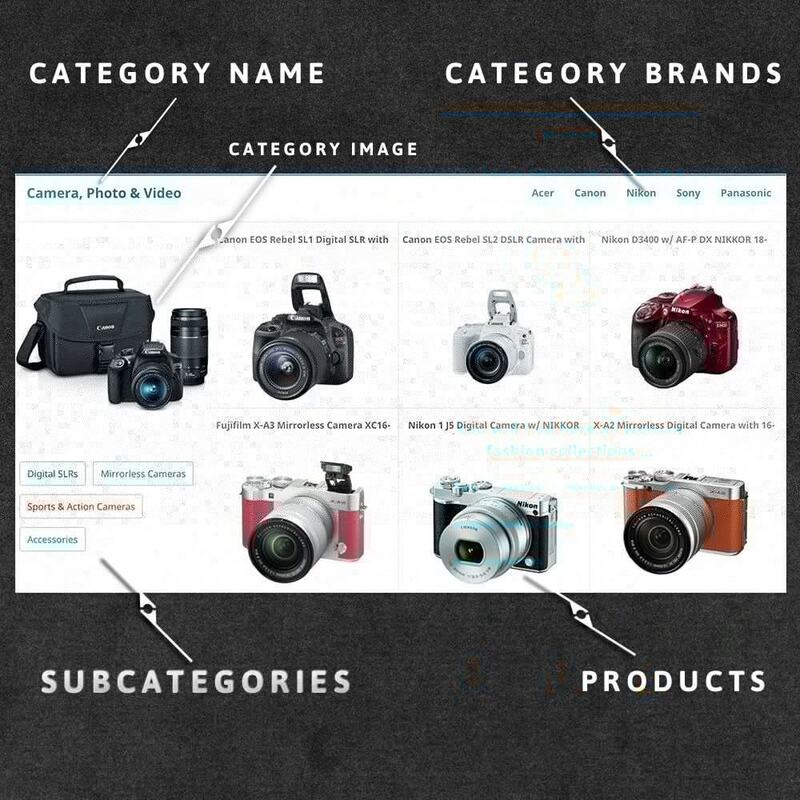 The beauty of MAX Category Block is you can expanded category page content to your customers. As addition you can show selected categories as featured categories on home page. 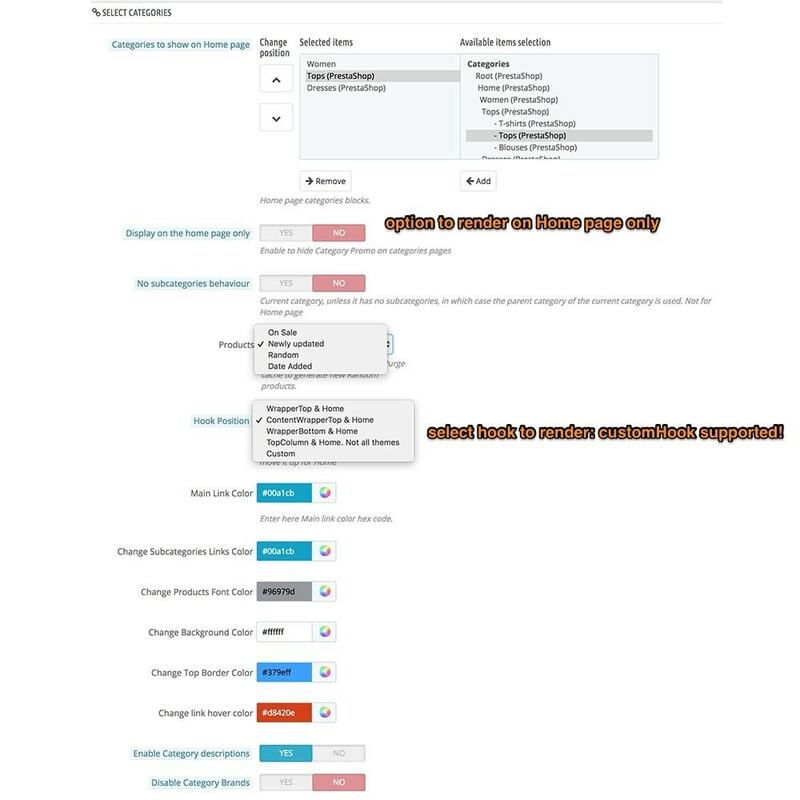 Category Wall module is best on market to change your categories navigation and promote featured categories on home page.